We are located near the intersection of 3 streets — opposite the South Green. We are just down the “hill” from Wesleyan University and one block from Middlesex Hospital. Although we are located in a prominent building — historic too! — it has been said that we are in the largest “invisible” building in Middletown. It is not that hard to find us and we have plenty of parking. 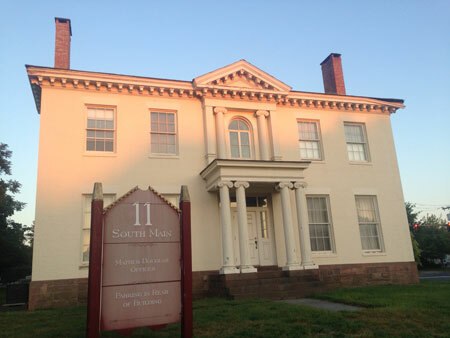 Our address is: 11 South Main Street, Middletown, Connecticut 06457. We are at the intersection of South Main Street, Broad Street and Church Street. Our parking lot entrance is on the Church Street side as is our main entrance.